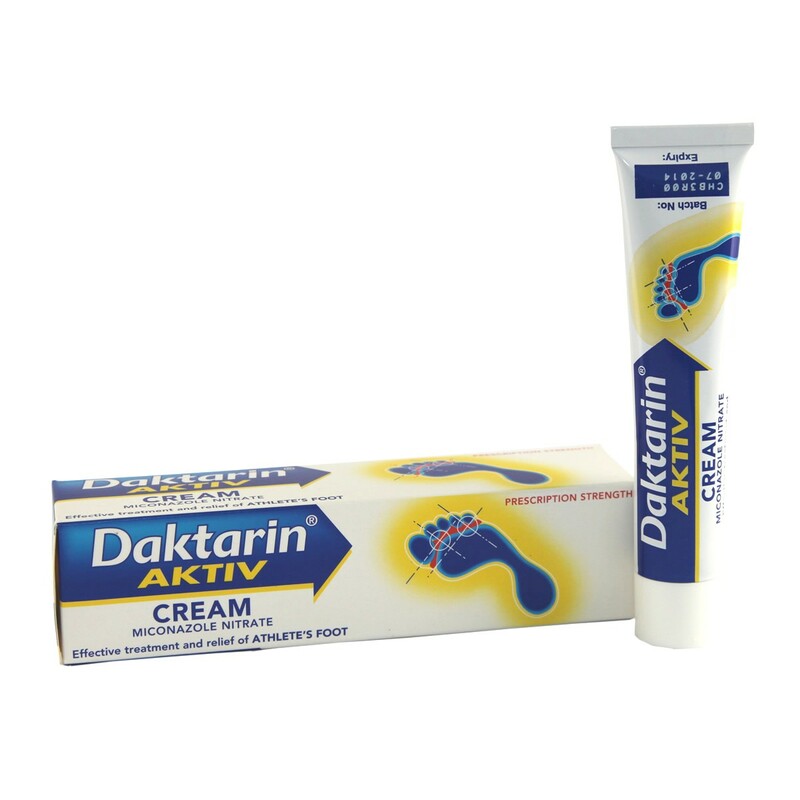 Daktarin Activ Cream is a medicine which is used to effectively treat and relieve Athlete's Foot. The cream contains miconazole nitrate which works by destroying both the fungus that caused the infection and some of the associated bacteria which may also be present. It also has moisturising properties to help soothe cracked, red skin caused by Athlete's Foot. Contains: Miconazole Nitrate 2% w/w Also contains: PEG-6, PEG-32 and Glycol Stearate, Oleoyl Macroglycerides, Liquid Paraffin, E 210, E 320, Water . Wash the infected skin and dry it well. Apply cream to affected area twice daily. Continue to use the cream for 10 days after symptoms have cleared to prevent them coming back. If symptoms persist or irritation occurs, consult your pharmacist or doctor. FOR EXTERNAL USE ONLY.Keep all medicines out of reach and sight of children.Do not store above 25°C. Thank you for your interest in Daktarin Activ Cream. Enter your email and we'll contact you as soon as it's available again.